A lot of his other stuff is great, too, but his first ever YouTube video left me unsettled. It’s probably just because it involves a beloved Disney character getting shot down from the sky with a rocket. 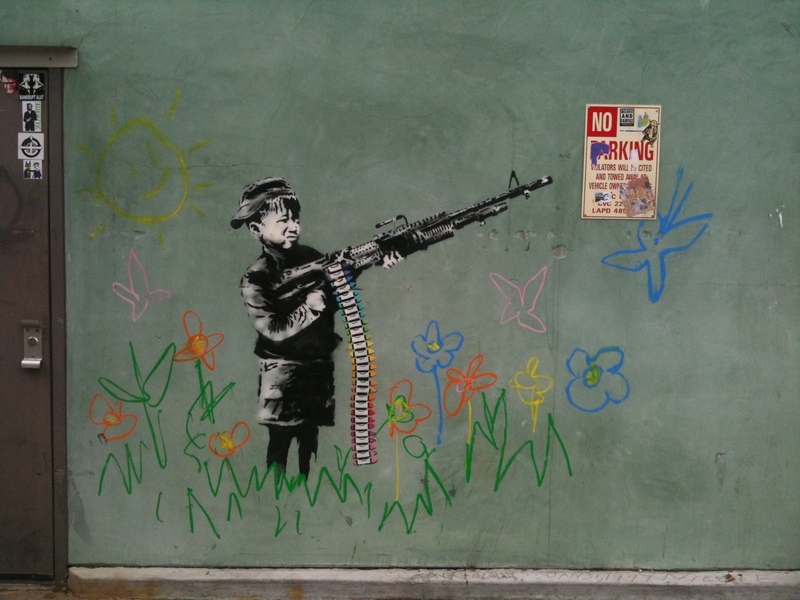 Or also because, as with all of Banksy’s work, it’s making me think about the meaning behind it, and I haven’t quite figured it out yet. I dunno, I’m just sad to see Dumbo get shot out of the sky…haha. Take a look and see what you think it means, then drop me a line! This entry was posted in AldyWaldy, Blog, Video, YouTube and tagged banksy, Disney, dumbo, YouTube. Bookmark the permalink.